In December 2018 we were fortunate enough to visit the Pronorm Factory and Exhibition Centre just outside the beautiful spa town of Bad Salzuflen in Germany. 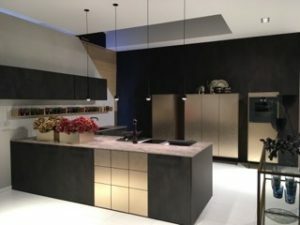 We were introduced to Pronorm kitchens over two years ago and are impressed with the consistent high quality of Pronorm products and its middle and upmarket ranges. 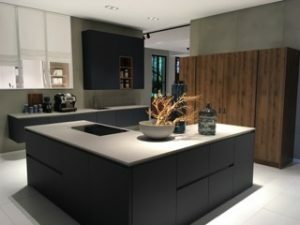 During our visit to the Pronorm Factory we gained an insight into the intricate processes Pronorm employs to create and assemble kitchen furniture that is truly bespoke. 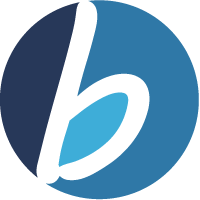 The meticulous quality control measures across every line of the factory floor reinforced our confidence in Pronorm and it was clear from speaking with various engineers that attention to detail is exercised at all levels to maintain the very highest standards. 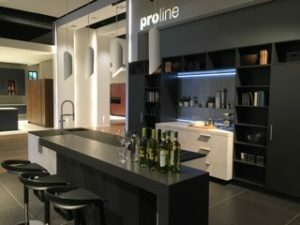 The Pronorm Exhibition Centre is really something to behold and presents thoughtfully designed kitchens, which reflect not only current trends but trailblazing design concepts. 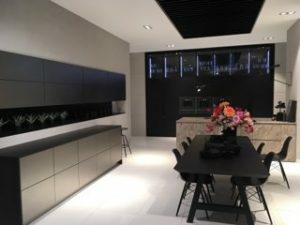 The lighting, accessories and technology featured throughout the showroom enhance the overall aesthetic so that all visitors leave with inspired ideas on how they can broaden their own design ideas. We thoroughly enjoyed our trip and must give a special thanks to Richard Turner and Joanne Hunt, who are a pleasure to work with and really personify the values of the Pronorm brand.